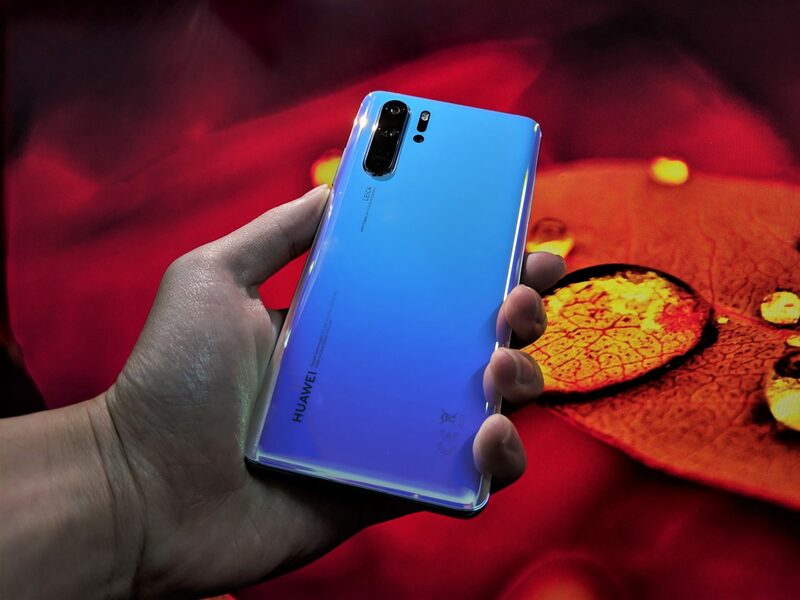 When we first heard about Huawei’s P30 Pro, its additional camera (totalling to four rear cameras) peaked our interest. After actually getting to try it out first-hand, we get to be the judge of whether the new pretty boy of the block deserves its hype. Plastered all over the walls are advertisements of the P30 Pro’s quad-camera setup, and Huawei acknowledges the main selling point of this device. Furthermore, the camera setup does give a subtle nod to the original P20’s triple-camera design. We will be diving straight into what makes Huawei’s P-series stand out amongst the sea of smartphones – Camera. The 8MP telephoto lens specification undercuts the improvement was made over the previous smartphones. The lens now features a periscope-based design, giving the manufacturer more space for a 5X Optical zoom capability (from 3X). Not to mention, through the magic of “AI” and software, they also further increased the digital zoom to up to 50X! Yes, any digital zoom will come with a blurrier photo. However, Huawei softened the blow with the addition of OIS to help stabilize handshakes whenever a photo is taken in 50X. With that said, you should still use a tripod for the best results. The added flexibility that a 50X Digital zoom adds is a recurring theme in the P-series lineup. Being able to zoom in, or take a wide-angled shot of the landscape or your friends is one big reason why photographers and enthusiasts do enjoy playing around with the P20 and now the P30. One exciting upgrade that Huawei flaunts around with is their SuperSpectrum sensor. This is a name for the new sensor arrangement of RGBG to RYYB. By switching their green sensors to yellow, Huawei claims to be able to capture 40% more light. This improvement is arguably more useful over the 5X optical zoom as it does improve photo quality overall. After putting this to the test, yes, photos do tend to be brighter in low light than compared to Google’s Pixel 3XL. As seen by the (albeit extreme) example above, the P30 Pro outperformed its competitor quite a bit. Do take note that after being adjusted to the night, I was still able to see more details of the scene. Touting the ToF camera as its champion for Huawei’s “Quad” camera marketing slogan, this particular camera is not an usable camera per se. Instead, think of it as a companion to the three main ones. This particular camera adds an additional dimension to the image – Depth. Straightaway, one would definitely think of portraits, and you would be right! Instead of relying merely on software to blur the edges of the subject, the P30 Pro is able to detect how far the objects are in the background. This improves bokehs with variable blurs based on distance to the camera. Here are some unique inclusions that Huawei decided to add to the P30 Pro to give it some flair. One rare aspect of the P30 Pro is the removal of the top speakers. Instead, a Maglev (Magnetic Levitation) speaker is used within the phone itself. And if you are worried about the clarity of your calls, don’t be. Calls are clear and audible even in a noisy environment. By switching to a curved screen, the P30 Pro does look a touch sexier and curvier. However, it does mean that there will not be as much variety in screen protectors. Another unfortunate side effect, is the thinning of the sides, reducing the grip when holding one of these glass phones. Putting on the provided clear case is highly recommended. With all these said and done, Huawei P30 Pro definitely excels in the camera department. The changes made from the previous P20 Pro and even the Mate 20 Pro are definitely all improvements, albeit few. Whether it should be in your shopping list should depend on whether low light or the ridiculous zooming capability is a must have. If so, you can get it from April 6 at S$998 (P30) and S$1,398 (P30 Pro) respectively. Early customers will also be able to receive a Huawei Watch GT and JBL Clip 2 worth up to S$470 for every purchase, and is only available at VivoCity, Central Court Level 1 (10AM to 10PM).